In conjunction with the Cambridge Festival of Ideas 2015, we will be publishing a series of articles that complement many of the upcoming debates and discussions. 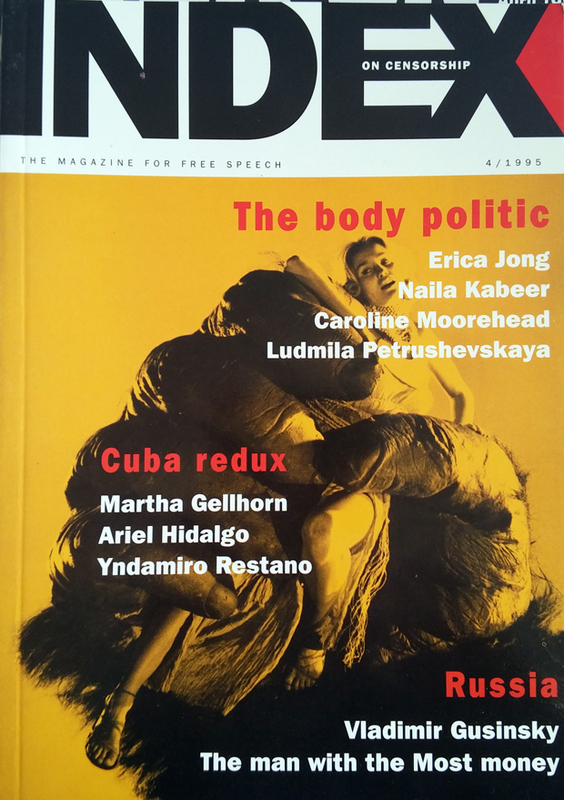 We are offering these articles from Index on Censorship magazine for free (normally they are held within our paid-for archive) as part of our partnership with the festival. 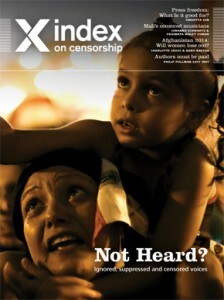 Index on Censorship is a global quarterly magazine with reporters and contributing editors around the world. Founded in 1972, it promotes and defends the right to freedom of expression. From the winter 2014 issue of Index on Censorship magazine. Subscribe. “Free thinking” for those who plan to attend the Elections – live! session at the festival this year. We are often, rightly, concerned about our politicians censoring us. The power of the state, combined with the obvious temptation to quiet criticism, is a constant threat to our freedom to speak. It’s important we watch our rulers closely and are alert to their machinations when it comes to our right to ridicule, attack and examine them. But here in the West, where, with the best will in the world, our politicians are somewhat lacking in the iron rod of tyranny most of the time, I’m beginning to wonder whether we may not have turned the tables on our politicians to the detriment of public discourse. From the summer 1995 issue of Index on Censorship magazine. Subscribe. “Free thinking” for those who plan to attend the The body politic: censorship and the female body session at the festival this year. Pornographic material has been present in the art and literature of every society in every historical period. What has changed from epoch to epoch – or even from one decade to another – is the ability of such material to flourish publicly and to be distributed legally. After nearly 100 years of agitating for freedom to publish, we find that the enemies of freedom have multiplied, rather than diminished. 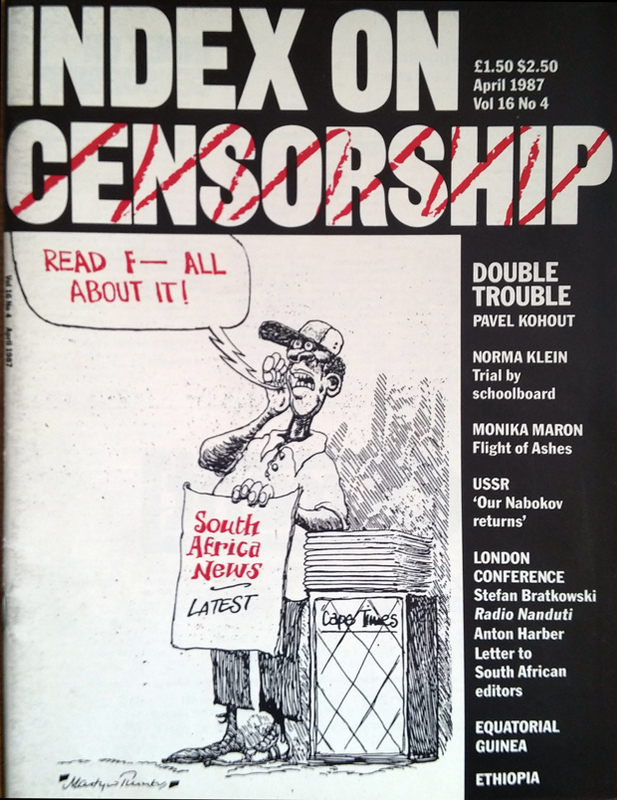 From the spring 1987 issue of Index on Censorship magazine. Subscribe. “Free thinking” for those who plan to attend the Banned books: controversy between the covers session at the festival this year. I used to feel distinguished, almost honoured, when my young books were singled out to be censored. Now, alas, censorship has become so common in the children’s book field in America that almost no one is left unscathed. From the summer 2014 issue of Index on Censorship magazine. Subscribe. “Free thinking” for those who plan to attend the Privacy in the digital age session at the festival this year. “Government may portray itself as the protector of privacy, but it’s the worst enemy of privacy and that’s borne out by the NSA revelations,” web and privacy guru Jeff Jarvis tells Index. 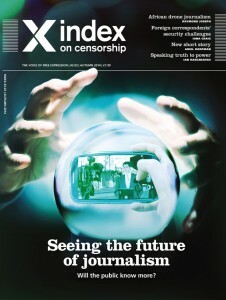 From the summer 2008 issue of Index on Censorship magazine. Subscribe. “Free thinking” for those who plan to attend the Can writers and artists ever be terrorists? session at the festival this year. In the drive to tackle extremism, debate is being undermined and fear is driving the agenda. Conor Gearty makes the case for common sense. I object to the ‘age of terror’ title. My anxiety about this is that it is already putting people like me at a disadvantage. I am forced to work within an assumption, which is shared by all normal, sensible people, that we live in ‘an age of terror’. Therefore the point of view that I am about to put – about the total appropriateness of the criminal law; about the relative security in which we live; about the fact of our being pretty secure in comparison with many previous generations – is deemed to be sort of eccentric, if not obstructive. 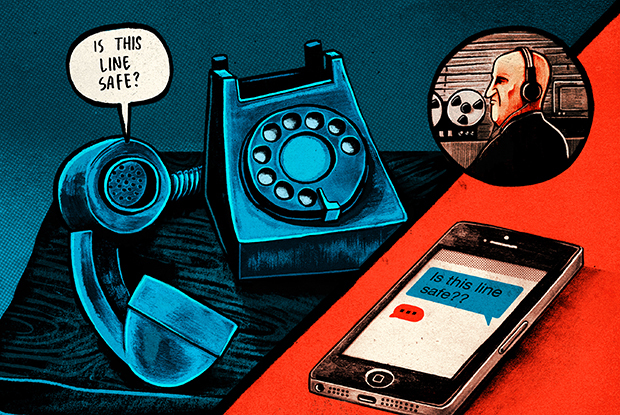 From the spring 2014 issue of Index on Censorship magazine. Subscribe. “Free thinking” for those who plan to attend the War, Censorship and Propaganda: Does It Work session at the festival this year. When it comes to depicting war, humour can be a critic’s most dangerous weapon, says Martin Rowson as he trips through the history of cartoons. As a political cartoonist, whenever I’m criticised for my work being unrelentingly negative, I usually point my accusers towards several eternal truths. One is that cartoons, along with all other jokes, are by their nature knocking copy. It’s the negativity that makes them funny, because, at the heart of things, funny is how we cope with the bad – or negative – stuff. 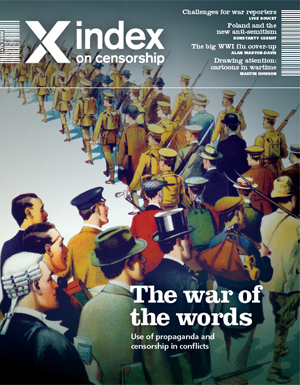 From the autumn 2013 issue of Index on Censorship magazine. Subscribe. “Free thinking” for those planning to attend the Hidden Voices; Censorship Through Omission session at the festival. When Liang Hong returned to her hometown of Liangzhuang, Henan province, in 2011, she was instantly struck by how many of the villagers had left, finding work in cities all across China. It was then that she decided to chronicle the story of rural migrants. During the next two years she visited over 10 cities, including Beijing, and interviewed around 340 people. From the spring 2015 issue of Index on Censorship magazine. Subscribe. “Free thinking” for those planning to attend the A New Home: Asylum, Immigration and Exile in Today’s Britain session at the festival. Television journalist Temesghen Debesai had waited years for an opportunity to make his escape, so when the Eritrean ministry of information sent him on a journalism training course in Bahrain. From the autumn 2014 issue of Index on Censorship magazine. Subscribe. “Free thinking” for those planning to attend the Technologies of revolution: how innovations are undermining regimes everywhere session at the festival. Deep in Mpumalanga province, in the far north-east of South Africa, a poorly resourced newspaper is using a combination of high and low tech solutions to make a difference in the lives of the communities it serves. 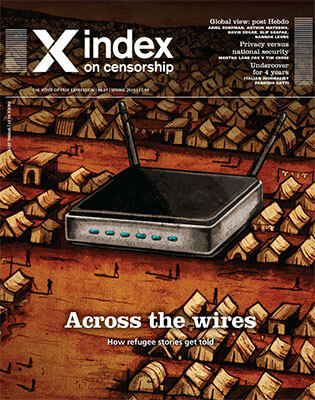 From the winter 2013 issue of Index on Censorship. Subscribe. “Free thinking” for those planning to attend the Faith and education: an uneasy partnership session at the festival. 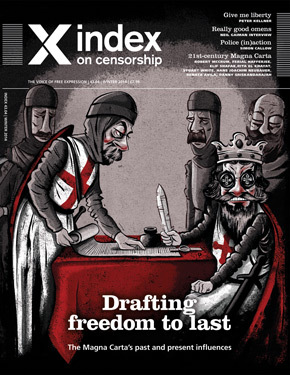 For Index on Censorship magazine Samira Ahmed takes a look at 15 years of multiculturalism and how some people’s ideas of it are getting in the way of freedom of expression. In 1999, the neo-Nazi militant David Copeland planted three nail bombs in London – in Brixton, Brick Lane and Soho – targeting black people, Bangladeshi Muslims and gays and lesbians. Three people died and scores were injured. Free Thinking! 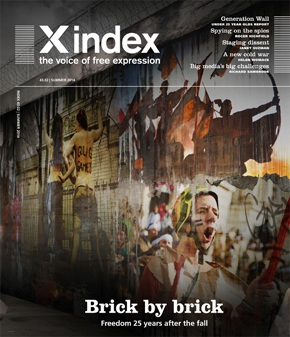 A unique partnership in 2015, Cambridge Festival of Ideas are working with Index on Censorship to offer in-depth articles and follow-up pieces from leading artists, writers and activists on all of our headline events. • Join us on 24 Oct for Can writers and artists ever be terrorists? Anti-terror legislation has been used in several countries to effectively gag free speech about sensitive political issues, but can writing or painting be a terrorist act and what role do they play in radicalisation? Join Index on Censorship CEO Jodie Ginsberg at the Cambridge Festival of Ideas to explore the intersection of art and terrorism. Question Everything is an unconventional, unwieldy and disruptive day of talks, art and ideas featuring a broad range of speakers drawn from popular culture, the arts and academia. Are we in a drought of new options? Start imagining the world anew with a series of provocateurs. Dissent encouraged. Hosted by Index on Censorship CEO Jodie Ginsberg. 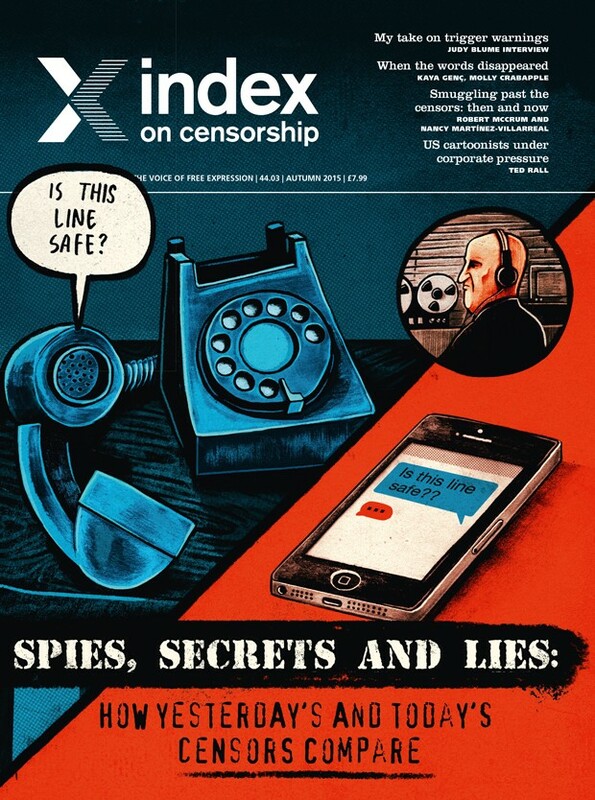 In the latest issue of Index on Censorship magazine Spies, secrets and lies: How yesterday’s and today’s censors compare, we look at nations around the world, from South Korea to Argentina, and discuss if the worst excesses of censorship have passed or whether new techniques and technology make it even more difficult for the public to attain information. Subscribe to the magazine.